Notes: 1 silver albumen print; 41 x 33 cm. Notes: Southeast exterior view of Horticultural Hall, with the greenhouse on the left. In the foreground are benches, trees,people, and plant urns. 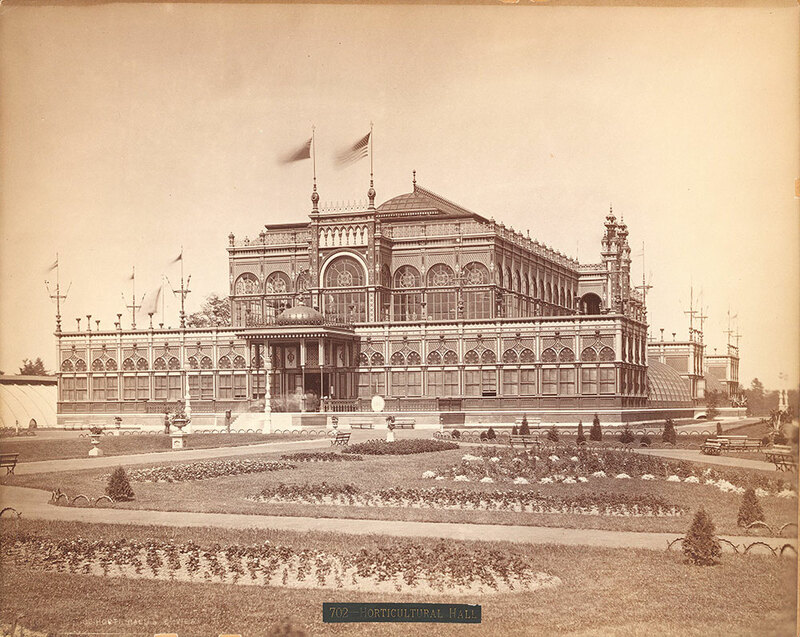 Notes: Titles on labels: Horticultural Hall, and, Hort Hall s.e. view.